Surrounded by mountains of the Ruby Range this little lodge blends in at the shore of Talbot Arm, a fjord-like anabranch of Kluane Lake. 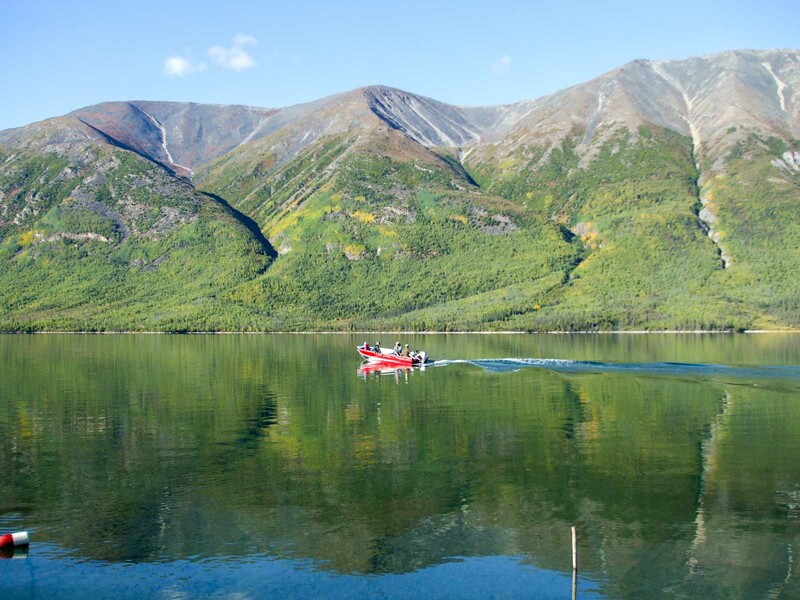 Situated on the border of Kluane National Park and Alaska this lodge can be reached only by Float Plane or boat in the summer from the Alaska Highway 50 km away. Discover the beauty of the untouched wilderness and the acclaimed northern friendliness of its people far away from the buzzing tourist centers. 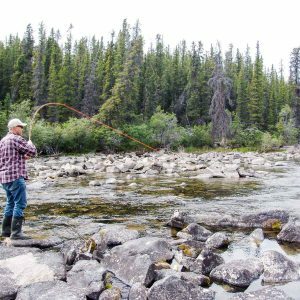 Enjoy the Yukon summer with its long and warm days by taking advantage of activities like fishing, hiking, boating, wildlife-viewing, photography; let your mind wander in this unmatchable natural setting. The lodge includes a main building with 4 double rooms, a kitchen, a big dining room, a relaxing living room including a small bar and a bathroom. Attached to the main building is a spacious sundeck. Additionally, there are two rustic cabins on the property accommodating 2-3 guest. There is also shower cabin with 2 individual bathrooms, a cozy sauna, a equipment shack and a historic Trapper Cabin. True Fishermen can fully enjoy the Ruby Range Lodge. 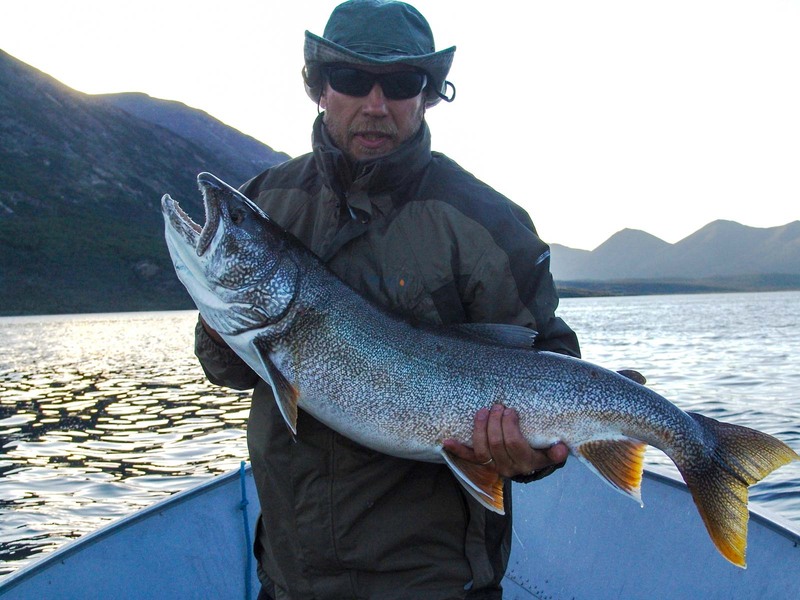 Mainly you'll fish for Lake Trout (Salvelinus namaycush), Arctic Grayling and Northern Pike, which most of them have never seen a lure before. 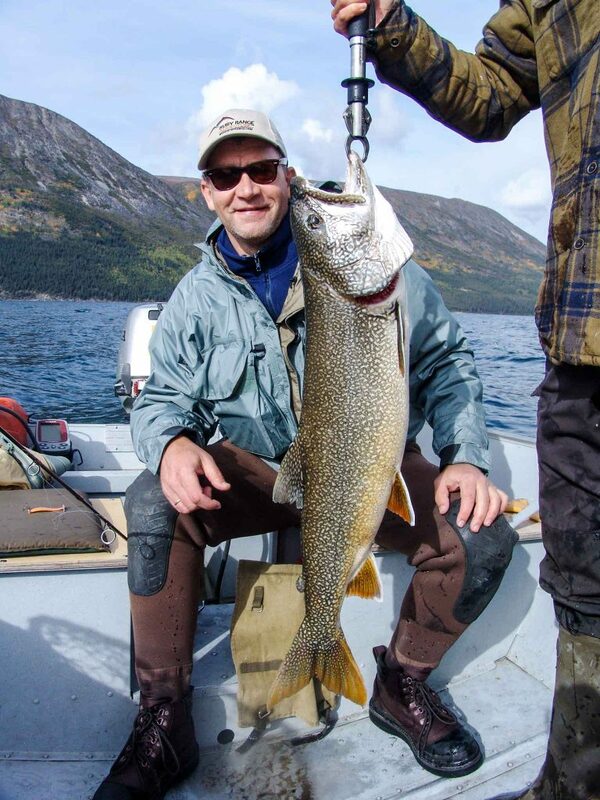 Also you'll have the chance to fish for several bottom-fish species and Whitefish. Outstanding is fishing for trouts though. 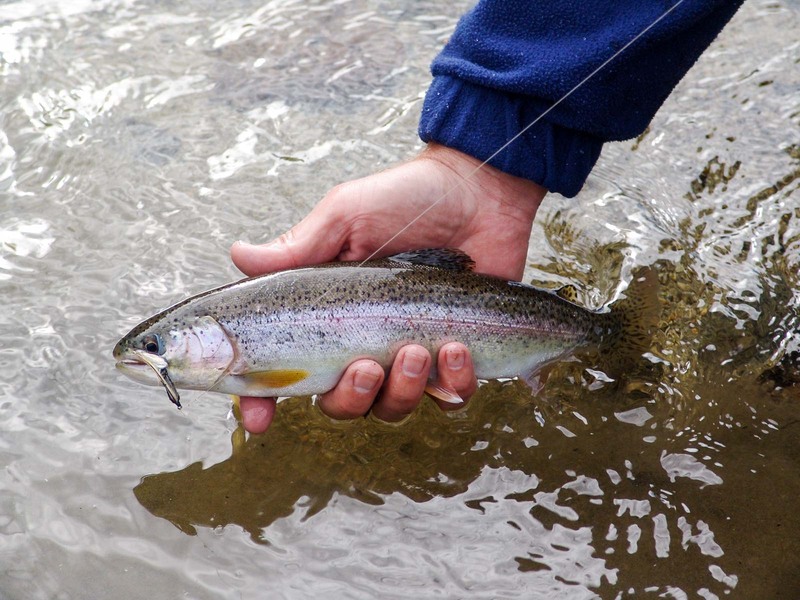 Where else could you catch fish by fish from shore with Fly- and Spinnrod, where else would you have a real chance to catch a big Namaycush-Trout using a light equipment? Everyone interested in Wildlife-Viewing, Hiking or nature in general will love the lodge. Its secluded location amongst high mountains and a river mouth make it perfect for hikes and wildlife-viewing. Pickup at the Airport in Whitehorse. Drive on the Alaska Highway towards Destruction Bay. Transport to Ruby Range Wilderness Lodge for the unforgettable Wilderness and Fishing Experience at Kluane Lake. You'll have the chance to complete your Fishing Equipment at the local Outdoor Shops (Purchase of Fishing License). 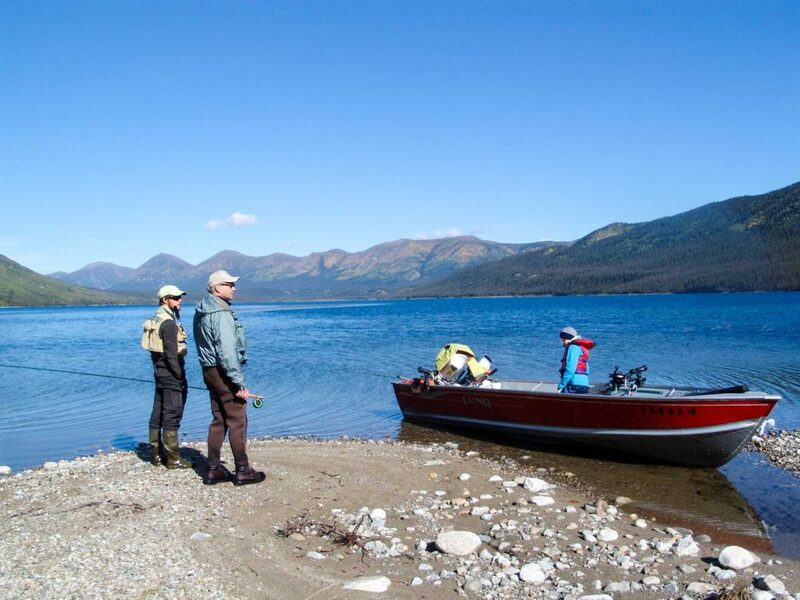 Here at the Kluane Lake and its tributaries, you will be able to spend whole days fishing. 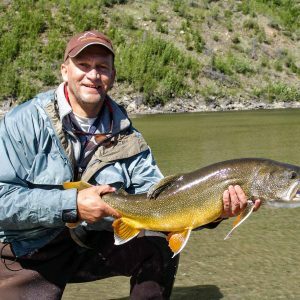 Enjoy the Yukon Summer with its long and warm days by taking advantage of activities like fishing, hiking, boating, wildlife-viewing, photography; let your mind wander in this unmatchable natural setting. Depending on the choice of Waterways we use a variety of transportations. We'll arrange trips by Bush Plane or Helicopter by request. Transfer back to the Airport in Whitehorse or connecting program. Optional Transfer by Float Plane from/to Whitehorse (ca. CAD-$ 850.00 per person plus GST with 2 persons). Tour Price: CAD $2,360.00 / p.P.